Throughout the history of the IT industry, integration has been an important part of most projects. Whether it is integration of transactions, data, or processes, each has challenges and associated patterns and antipatterns. In an age of mobile devices, social networks, and cloud services, and big data analytics, integration is more important than ever, but the scope of the challenge for IT projects has changed. What are the current integration patterns that help enterprises become and remain competitive? How do you choose when to use which pattern? What is the topology for a “composable business”? And how do you accelerate the process of implementation through intelligent choice of supporting integration middleware? 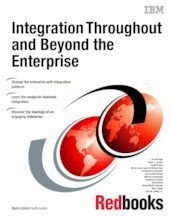 This IBM® Redbooks® publication guides integration practitioners and architects in choosing integration patterns and technologies.